Please read the terms and conditions carefully and complete fully, especially Part D for educational background. Email address is requested if available, for faster communication as needed. If your name has been changed, proof of name change is needed. Original documents are required for verification purpose - NO EXCEPTION. Make two sets of photocopies of all the original documents (transcript, mark sheet, Certificate of Graduation/Diploma if graduated, etc. ), with the corresponding Certified English translation, if original documents are not in English. Send the set of original and photocopies of documents to IESCAREE. A Document Copy fee of $15 will be charged if copy set of original documents is not submitted. Many State Boards of Accountancy do require the Comprehensive Evaluation Report. Fee will be $240 for one program, or $370 for two programs (item 3.C and 3.D on fee schedule) plus appropriate postage and handling fee (items 4 fee schedule). If Comprehensive Eval. report is not desired or needed, refer to fee Schedule item 3.C and 3.D for separate type of evaluation fee. Additional fee for more than 2 programs will be charged on case by case basis. Once the evaluation process is completed, the original Evaluation Report (in a sealed envelope), together with the Applicant’s Copy of the evaluation report, and all original documents submitted, will be mailed to applicant’s address on file by Certified Mail, unless different mode of mailing is requested. Original Evaluation Report can be mailed directly to the State Board of Accountancy by first class regular mail if indicated on Part E of the Application Form, without additional charge. If more secure or faster mailing is desired for this separate mailing to institution, refer to item 4 on fee schedule for additional fee required for the chosen method of mailing. For California Board of Accountancy, a Comprehensive Evaluation is required, and original Evaluation Report has to be mailed directly to the Board by the Center, with a certified true copy of the original foreign transcript of records, as required by the Board. A fee of $10* will be charged for this certified true copy of the transcript(s). The postage and handling fee in this case will be $20, for two certified mailings, to the CA Board (original Eval. report with certified true copy of original transcript), and to Applicant (copy of Eval. Report and original documents being returned). In short: for CA Board, an extra fee of $10* plus $20 for the two Certified mailings = $30 is to be added to the evaluation fee. Total fee will be $270 for one program, or $400 for two programs to be evaluated. Course-by-course Analysis: U.S. equivalency of the foreign transcript, listing all subjects studied in chronological order, with U.S. equivalency of grade and credits for each subject. Mostly used for continuing education (possible transfer of credits or graduation admission), and/or professional licensing purposes. General Report (Statement of Equivalency): summarizing applicant’s educational background, with recommended U.S. (study/degree) equivalency for each level of education/credential attained. Mostly used for employment or immigration purpose, or for first year college admission. 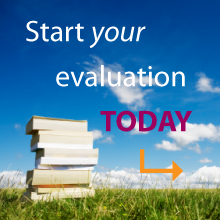 Comprehensive Evaluation Report: (consists of both Course-by-course and General Report Evaluation) is recommended for applicants who have U.S. Bachelor’s or higher degree(s) equivalencies, and for those who apply for professional licensing. Reconstruction Work: When the academic transcript does not indicate the hours of study or the credits earned for each subject listed, school syllabus showing credits or total hours of study of each subject is required (for Course-by-course evaluation only, not required for Gen. Report evaluation). If syllabus is not available, the Reconstruction by Synthesis Form has to be completed by the applicant, to provide the total hours of study per week for each subject, to his/her best recollection. Using this information, along with the Center’s research on reference materials, the experience evaluator will be able to calculate the appropriate U.S. credits equivalency. Fee for Reconstruction work is normally $100 per program of study (item 6 on Fee Schedule), in addition to the evaluation fee noted above. This fee may vary depending on the complexity of each case. GPA: Grade point average is not routinely done unless specifically requested. The course-by-course evaluation must be completed, as GPA is calculated from the U.S. equivalency of credits and grades on the course-by-course analysis. A nominal fee of $20 is required for GPA calculation for each program, to be added to the total evaluation fee. Evaluation Time: Evaluation process normally takes two to four weeks, depending on the completeness of information submitted, the type of the evaluation report, and the complexity of the documents. All evaluation requests are processed on first come first served basis. Rush Service: The Center offers one, two and five working-day Rush services, for an additional fee of $195, $100 or $50 respectively (Fee schedule item 11-13). Rush service starts only when complete information/ documents and fee are received in the Center. Rush service requests are accepted on a case-by-case basis. One-day Rush requests must have prior approval, do call the Center first before sending in document for the one-day Rush service. Money Order or Bank Check is required for all evaluations with rush services. Rush fee is non refundable at any time, with one exception where all needed documents/items are received, but the Center is unable to meet the deadline, most likely due to heavy workload. Additional Official Evaluation Report: All evaluation files are kept active in the Center for three years from the date the evaluation is requested. The expiration date is indicated on the cover letter attached to the Applicant’s Copy of the evaluation report. Within this period, additional official evaluation set can be requested for different institutions, same purpose, for a nominal fee of $30 per set, including postage and handling fee. If a change of format is needed for different purpose, i.e. from education purpose to employment purpose, additional $20 change-of-format fee will be assessed. All expired files will be purged and destroyed; Applicant will need to reapply if evaluation report is still needed after the expiration date. However, up to 20% discount on evaluation fee will be considered for all re-applied applicants. Copy of old evaluation report is needed for proof of re-applying, and for discounted fee. Extension of Evaluation Report: The purpose is to extent the file’s expiration date for another three years, without having to reapply and submit all original doc. again. The extension fee will be 50% of the original evaluation Fee, and must be requested before the file’s expiration date. Do call the Center for details.